For illuminating nano aquariums, there’s a new kid on the block. 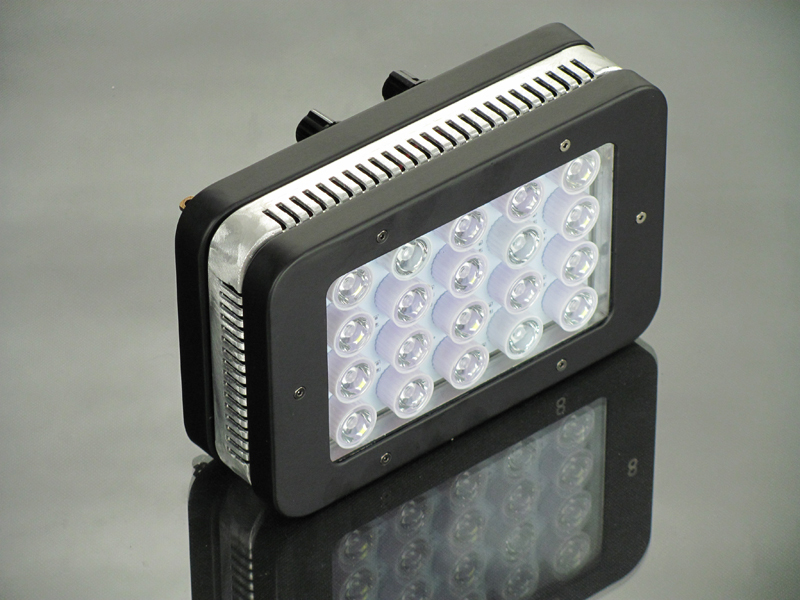 Reef Breeders recently announced their Nano-Lite, a tiny little phablet sized LED fixture that can lite up an 18″ footprint without issue. Featuring two dimmable channels that are controlled by knobs on the fixture itself, the Nano-Lite sports a mix of 20 LEDs that are broken down into five 4500K Neutral Whites, three 420nm Violets, and two 450nm Royal Blues on channel 1 and ten 450nm Royal Blues on channel 2. All of these LEDs, which equate to about 50watts of power draw when set at full power, are crammed into the 8.75″L X 5.5″W X 2.5″H fixture, and everything is run off one power cord. For mounting, the fixture is supplied with four cables that join together above the light at a centralized point. This, of course, means the fixture is supposed to be hung above the aquarium as opposed to sitting directly on top of one with legs or some other bracketry. That said, it shouldn’t be difficult to mount it to one of the fancier mounting systems that are out there. They didn’t reveal details about the optics sitting in front of each diode, but we expect them to be pretty much the standard issue 90 degree lenses, which lend themselves to good depth penetration, though not much spread…which is why the Nano-Lite is suitable for nano aquariums with small footprints.